The Reshape block changes the dimensionality of the input signal to a dimensionality that you specify, using the Output dimensionality parameter. For example, you can use the block to change an N -element vector to a 1-by- N or N -by-1 matrix signal.... This wouldn't really work with a complicated system for a number of reasons, but if your model is simple you can use a series of enabled subsystems that can be enabled when the proper constant is selected. I have a question. After simulate a simulink model I need to get signal dimensions of each line using MATLAB command. I get line handles by following... A Selector block accepts either vector or matrix signals as input. Set the Input Type parameter to the type of signal ( vector or matrix ) that the block should accept in your model. The parameter dialog box and the block icon change to reflect the type of input that you select. The Direct Lookup Table (n-D) block uses inputs as zero-based indices into an n-dimensional table. The number of inputs varies with the shape of the output: an element, vector, or 2-D matrix. The number of inputs varies with the shape of the output: an element, vector, or 2-D matrix. how to draw a tree on a poster board For example, a scalar of 4 is expanded to the vector [4 4 4] if the associated nonscalar has a dimension of 3. Scalar expansion of parameters refers to the expansion of scalar block parameters to match the dimensions of nonscalar inputs. Specifies that port emits a w-element vector signal. If the width is dynamically sized, the S-function must provide mdlSetOutputPortDimensionInfo and mdlSetDefaultPortDimensionInfo methods to enable the signal dimensions to be set correctly during signal propagation. youtube how to change a kitchen faucet The values corresponding to the fourth dimension for the table, entered as a vector. The vector values must increase monotonically. This field is visible if the The vector values must increase monotonically. In simulink is possible to change the font style and size using going to: Diagram > Format > Font Styles for Model. There you can change the font style and size for blocks, lines and annotations. A Selector block accepts either vector or matrix signals as input. Set the Input Type parameter to the type of signal ( vector or matrix ) that the block should accept in your model. The parameter dialog box and the block icon change to reflect the type of input that you select. Use: [index]=find(data,1) The second parameter of find specifies how many indices you want to find. 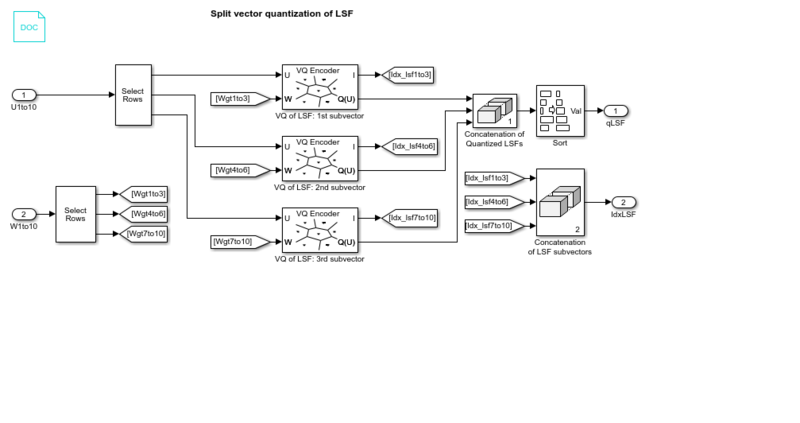 Now find outputs a constant length vector and can be used in simulink.